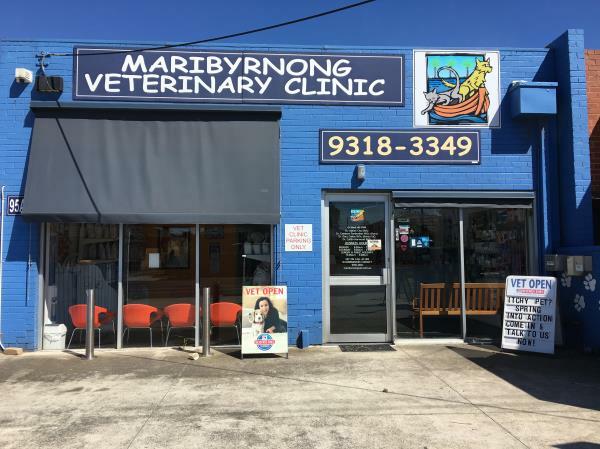 Established in 2004, the Maribyrnong Veterinary Clinic aims to bring a compassionate, family approach to veterinary care to Maidstone, Maribyrnong and the surrounding suburbs of Footscray, Sunshine and Avondale Heights. We believe in a cohesive team approach to your animal’s health. Our veterinarians have been working and studying together for many years, and each bring their own personal contribution to the veterinary diagnostics, medicine and surgery of the practice. Veterinary team meetings and case discussion allow us to complement each others’ skills and provide our patients with the benefit of many professional opinions and a breadth of wisdom. Our experienced nursing staff are united in their love of all animals and commitment to animal health and well being. They are always available for friendly helpful advice on all aspects of animal care including nutrition, health and behaviour. We recognise your pet is a part of your family, and we treat our patients as we would our own pets. Our Veterinary Hospital has been an integral part of our local community for years. In that time, we’ve helped thousands of our clients cats & dogs, rabbits & guinea pigs, birds and even a few snakes. Being so strongly integrated with our local community is important to us and our clients. Our customers know by experience that they can rely on us for sound advice and treatment options and that their pet is in the very best hands with our team. Pictured above is Dorito, our clinic cat! He is one big lazy boy! Originally brought into our clinic as a stray with no collar or microchip, he went through all the avenues to try and reunite him with his family. When his family didn’t claim him, we decided to make him part of our family! Come in and meet him! Join our group by clicking on the Facebook logo above. Please call the clinic to check availability.